^ Robert Cervero，University of California, Berkeley. TOD与可持续发展. 城市交通. Jan 2011, 9 (1). ^ 2.0 2.1 2.2 围着公交发展. e南洋. [2018-09-08]. （原始内容存档于2017-07-02）. ^ TOD Standard. ITDP. [2018-09-18]. （原始内容存档于2018-09-18）. ^ 徐学强、周一星、宁越敏. 《城市地理学》. 北京: 高等教育出版社（2009）ISBN 7040198711. ^ International Energy Agency. World Energy Outlook. Paris: International Energy Agency. 2009. ^ Provision of Public Transport Services. The Third Comprehensive Transport Study. Transport Department. [2018-09-08]. （原始内容存档于2018-02-22）. 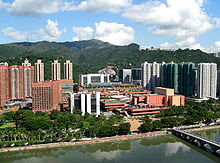 ^ The ‘Rail plus Property’ model: Hong Kong’s successful self-financing formula. McKinsey & Company. [2018-09-06]. （原始内容存档于2018-09-07） （英语）. ^ 柯文哲：1年內提TOD導向都市計畫通盤檢討 - 地方 - 中央社 CNA. [2018-04-29]. （原始内容存档于2018-04-29）. ^ 永續都市的TOD發展策略 (PDF). [2016-09-24]. （原始内容存档 (PDF)于2016-09-25）. ^ KL Sentral - Wonderful Malaysia. www.wonderfulmalaysia.com. [2018-09-08]. （原始内容存档于2018-02-22）. ^ 大吉隆坡TOD纪元. e南洋. [2018-09-08]. （原始内容存档于2016-09-14）. ^ TOD激活沿线房产. 星洲网. 2017-05-28 [2018-09-08]. （原始内容存档于2017-06-03）. ^ 家田仁、岡並木. 国際交通安全学会都市と交通研究グループ著『都市再生-交通学からの解答』. 学芸出版社. 2002年7月 （日语）.